The Interactive Media Division at the USC School of Cinematic Arts has the backing and attention of many top video game companies and personalities. This July, Activision Blizzard executive George Rose joins their ranks by establishing the Rose Family Foundation Fellowship for Interactive Entertainment. 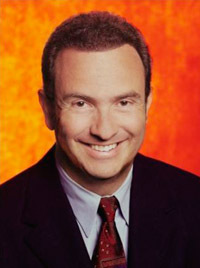 George Rose is a veteran executive in the video game industry, spending the past 17 years with Activision Blizzard, the largest and most successful video game publisher in the world. He has served as its former Chief Public Policy Officer and Chief Legal Officer and now as Senior Consultant to the Activision Blizzard CEO. Rose is responsible for defining many of the legal and business conventions established by the video game industry and is considered one of the nation’s authorities on the legal and policy issues related to children and video game play. He also held a leading role in Brown vs. EMA, a recent U.S. Supreme Court decision upholding the constitutional right of free speech in the context of video games. The fund is intended to support, encourage and educate new voices at the USC School of Cinematic Arts by providing students with tuition and fee assistance. Over the next five years, funds will be awarded to two students per year who are enrolled in the Interactive Media Division (IMD) and are creating interactive projects within the areas of health, wellness, education or other innovative areas. The students will be known as the Rose Family Foundation Fellows.